As I have watched the days move along this month, I have grown more and more excited to write this post. There is a moment in time when a decision is made, and in that moment I realize that a certain something (a food, a practice, a book, etc…) has really stood out to me and supported me throughout the month. In that moment, I decide that special something is exactly what I want to share with everyone. So, here are my “special somethings” from the month of December… My bits of sunshine. I was on the go a lot during the month of December, as I am sure most people were. From holiday parties, family dinners and car trips, it can be tough to find a green smoothie or juice around every corner (or sometimes any corner!). So, I turned to a company that I love and respect and I stocked up on a bunch of their travel packs. 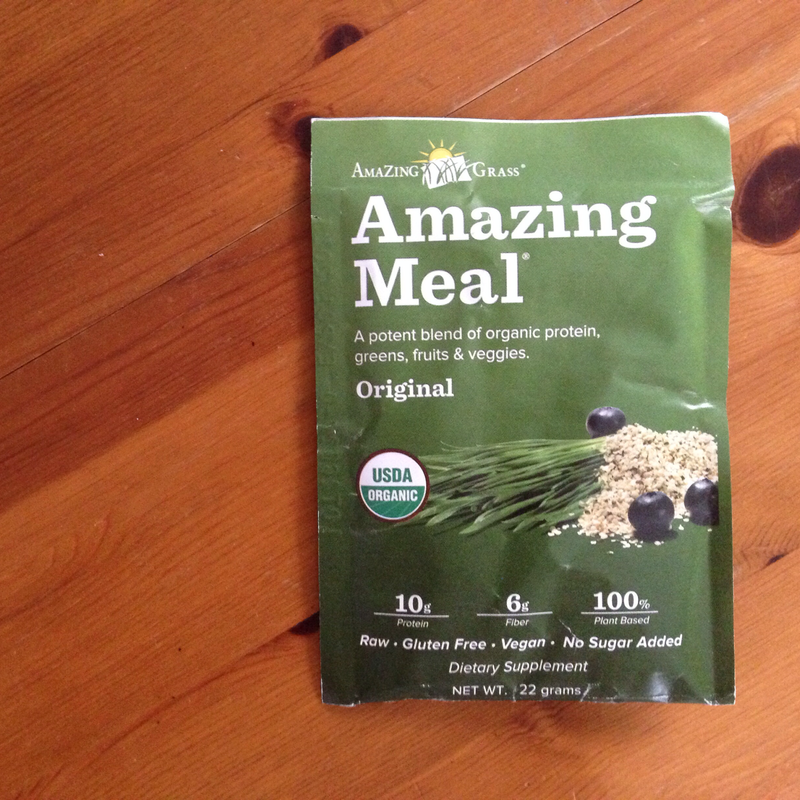 Amazing Grass makes a lot of great products, and their Amazing Meal helped me get a big dose of greens and nutrition when I couldn’t get my hands on the fresh stuff. I am convinced that this magical green powder helped to keep me healthy and happy over the past 30-60 days, providing me with greens, fruits, veggies, vitamins, minerals, probiotics, enzymes, plant protein, antioxidants, and a good dose of big-time nutrition when I otherwise would’ve been daydreaming about greens (ya, I daydream about greens – it’s because they make me feel SO GOOD!). Although I don’t recommend replacing your fresh green juices or smoothies with the stuff, I think it can be a great substitute when on the go. You can easily mix it in with some water, or add in a little natural juice if you enjoy some sweetness. I even like to throw it in with my green smoothies to give them an extra dose of awesome. You can find these travel packs online or at your local health food store. And check out my Instagram account for recipes. So, I got another Manduka mat… and it is awesome. I have been using the Manduka Prolite for about a year now, and although I absolutely adore it, I decided I wanted something a little more light weight for all of the traveling I do. So, when my yoga studio had a holiday sale, I treated myself to a Manduka eKO Lite mat, which just so happens to also fit perfectly with my yoga rug (score!). I know that there are plenty of mats available for a fraction of the price, but these mats are pretty bomb sauce. They are all made with non-toxic rubbers which decompose when discarded without leaving any toxic residue in the beautiful earth. They are also built to last a lifetime, which is pretty damn cool. I packed my mat with me for my most recent trip back up to NY for the holidays, and even though it is significantly thinner then the mat I have been practicing on, I still appreciate its cushion (and its grip!). I might just be a Manduka-groupie for life! I don’t know where I have been the past few years, but I am just catching on to how awesome chai tea is!! Its like this warm, earthy experience with hints of sweetness… Basically like a badass party in your mouth. I am totally digging it! I found this tea while doing a juice cleanse, so it is caffeine free, but they have a Golden Chai tea too which contains caffeine if that’s what you prefer. Numi has quickly become one of my favorite tea brands over the past few months because of their wide variety of herbal combinations, their commitment to using only organic herbs, and their avoidance of fake natural flavorings and toxic materials (it was rated one of the best tea companies by The Food Babe). I love to brew up a hot cup of this tea, mix in a little cashew milk, some raw honey, and maybe even a sprinkle of cinnamon to brew up my own cup of deliciousness when I am feeling like I could use a flavorful boost. 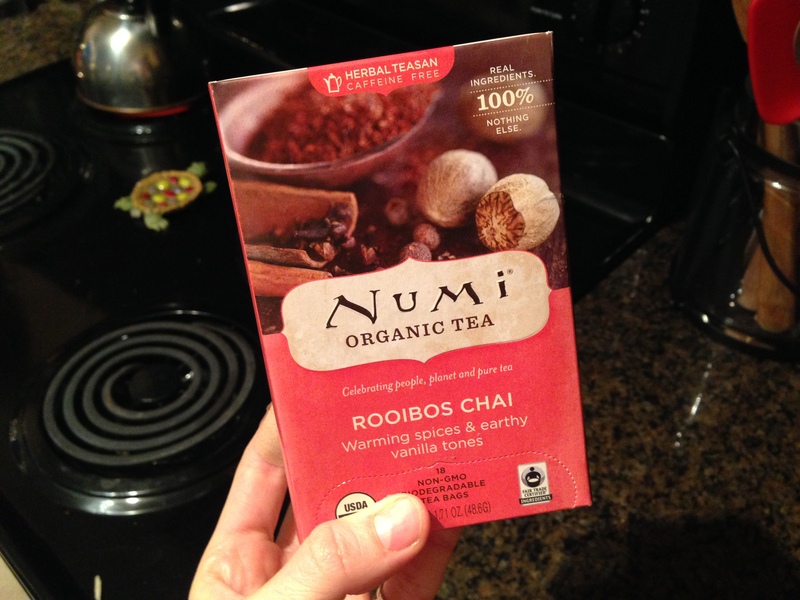 You can check out other Numi teas online, or most likely find them in your local health food store. Journey to the Heart has changed my morning routine forever. This small book of daily mantras offers wisdom and strength in short, precise paragraphs which take only a few minutes to read. Looking back, it has been about a year since this book has come into my life, so I found it fitting to celebrate it after a year of its inspiration and awakening. When I get up in the morning, I enjoy a tall glass of water and head straight to my small alter, where this book waits. I find the date, and slowly let her words pour over me. She teaches me about a shift in perception, about appreciation, how to trust, and about living a life full of love. She has spoken words to me that have changed the way I approached many days, words that I look forward to reading in years to come. Like a beautiful friendship or a meaningful relationship, I look forward to spending many more years with this book and to introducing her to many of my friends. 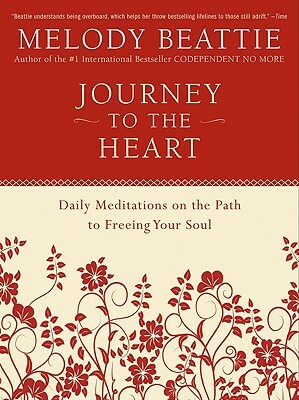 I recommend Journey to the Heart to anyone and everyone looking for a shift in perception and a positive start to each day. Proof again that small shifts make big waves. Over the past month I have been making a conscious effort to reflect on 3 things from my day that I am grateful for. So, as I lay my head on my pillow each night, I say to myself (or to my bf) 3 things that have helped me that day. It could be my car for getting me somewhere special, a yoga class that helped me to see something I was struggling with, or an encounter with someone new. It could be my bed, my dog, a new kitchen gadget, a phone call from a friend, or a simple but meaningful gesture from my boyfriend. It might be the plants that surround me, a tough experience that helped me grow, the beauty I saw in the sky that morning, or a small moment of clarity while walking along the sidewalk. After a short time of reflecting on such things each night, I began to look for beauty each day. I began wondering what would make my list that night… Was this beautiful view of the water going to beat out the awesome lunch I made? Was my time with a client going to teach me something new about myself? The most important piece was that I was looking for things to be grateful for, and when you exist in this mindset, you are much more likely to see things that make you feel happy and whole, things that help to teach us that we are all exactly where we are supposed to be. I am beginning to see (and still practicing) that by finding pleasure and beauty in the small things, we can begin to to live a life of abundance, and THAT is what it is all about! So, was there anything that has brightened your life over the past month? What are your “bits of sunshine” from December? I would love to hear about them in the comments below. Tags: 5 favorites, bits of sunshine, december, health, inspiration, inspire, monthly, sunshine, support, wellness. Bookmark the permalink.